Fatigue and weakness is not a disease, but it is quite recurring in people nowadays. The main reason behind it is the long working hours and lack of care. Fatigue is related to the social, spiritual, emotional and physical aspects of your everyday life. It hinders your regular activities due to extreme tiredness and makes it hard for you to carry out normal day to day tasks. Physical fatigue normally happens after a hectic day, whereas, emotional fatigue has more to do with the disturbed sleeping pattern. Muscles normally become fatigued after a hectic day or exhausting exercise. But it happens for a brief period of time and is temporary most of the times. However, chronic fatigue syndrome is different. It is a long-term physical and mental fatigue that leads to weak memory, poor concentration, loss of interest in routine activities, tenderness in the lymph nodes, joint pains, recurring headaches, and muscle pains. Some mental illnesses, such as depression, also causes a constant feeling of fatigue and makes you feel lethargic. Chronic fatigue can also cause light sensitivity, blurring, dizziness, sweating or chills at night, depression, brain fog, and allergies. The condition makes it harder for a person to continue his daily routine and go to school or work. Even the simpler of activities seem like a challenge. It is hard to diagnose chronic fatigue, because the symptoms of this problem are same as many other illnesses. On top of that, there is no lab test that can identify whether a person has chronic fatigue syndrome or not. Due to varying degree of its severity, many doctors find it hard to identify whether a person is ill or not. This is why a natural treatment is more beneficial for this issue. 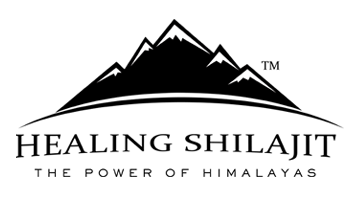 For example, you can use shilajit – a natural resin and a powerful gift of nature. Researchers believe that it is a very effective supplement that decreases the symptoms of chronic fatigue syndrome (CFS) and helps in the restoration of energy. This condition is associated with the mitochondrial dysfunction, which happens when body cells are unable to absorb nutrients and produce energy. Shilajit, however, can help regulate the function of mitochondria. It contains dibenzo-alpha-pyrones and fulvic acid that supports the production of Adenosine triphosphate (ATP) by mitochondria. ATP transports and stores the energy within body cells. It enables the cells to break down and absorb nutrients from the food and produce energy as a result. In a study conducted in 2012, lab rats were given shilajit for a period of 21 days. The dose varied between 25, 50, and 100 milligrams/kilogram. After that, they were exposed to stress procedure. CFS was induced in these animals as they were forced to swim for 15 minutes every day for a period of 21 days. The effect of the chronic fatigue syndrome was measured with respect to the climbing period and immobility. When the result came out, it showed that shilajit is, in fact, very effective as it decreased the effects of CFS. The supplement actually reversed the decrease in climbing ability and increase in immobility period. Researchers believed that it was mainly because the supplement regulated the mitochondrial function. It prevented the mitochondrial dysfunction that could be caused as a result of CFS induction. 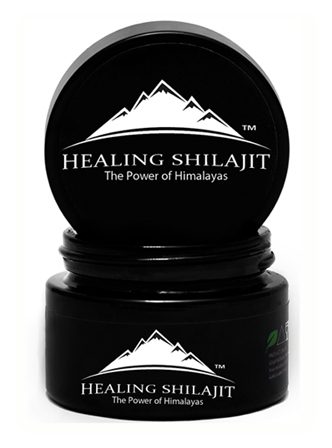 Shilajit basically reversed the mitochondrial oxidative stress in terms of no concentration. In another animal study, dibenzo-alpha pyrones showed mitochondrial protective effects, which eventually explains the useful effect of shilajit in terms of relief from fatigue and physical performance. All in all, it is a very useful supplement that fights off diseases and other conditions, such as CFS, enabling a person to lead a healthy life.